Ello loves, it's grey & pouring outside, so I figured there'd be no better time to write about such colourful bottles of polishes. They will most certainly help brighten my day! If you didn't check out my Gel Finish post yesterday, you may not know that my son broke my camera when I had 10 polishes left to swatch. So some of the photos taken with my new camera are long & thing compared to the original ones. Golden Wine is a dark jelly like red with golden shimmer within. Two coats for full opacity. Berry Smooth is a jelly like berry shade. Two coats for 95% opacity. Coral Beat is a vibrant orange the kind of looks like a dark salmon colour. Two coats for full opacity. Decadence is a shimmering purple that learns toward the berry side. Two coats for full opacity. 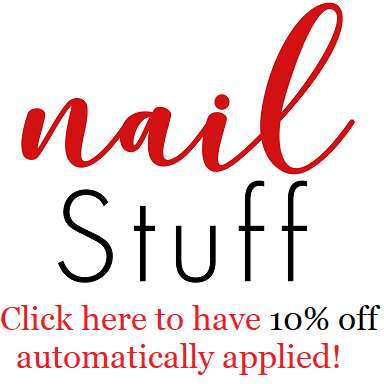 French Tip White is a beautiful opaque creme white. Two coats for full opacity. Gold Dust is a shimmering light gold shade. Two coats for full opacity. Green Sheen is a shimmering grey that leans ever so slightly green. Two coats for full opacity. Lagoon is a medium light shimmering blue that has the slightest shift to purple. Three thin coats to reach full opacity. Luxe Lavender is a dusty lavender shade. Two coats for full opacity. Midnight Plum is a deep creme purple. I would recommend 3 thin coats for full opacity or two thick coats. Orchid Splash is a bright purple pink orchid shade, very true to its name. Two coats for full opacity. Romance is a shimmering silver that has hints of pink, maybe purple. Three thin coats for full opacity. Ruby Slippers is a bright jelly red, with silver glitter. Two coats is good however if you really want full opacity I'd recommend three. Viva Pink is a medium creme pink. Two coats for full opacity. 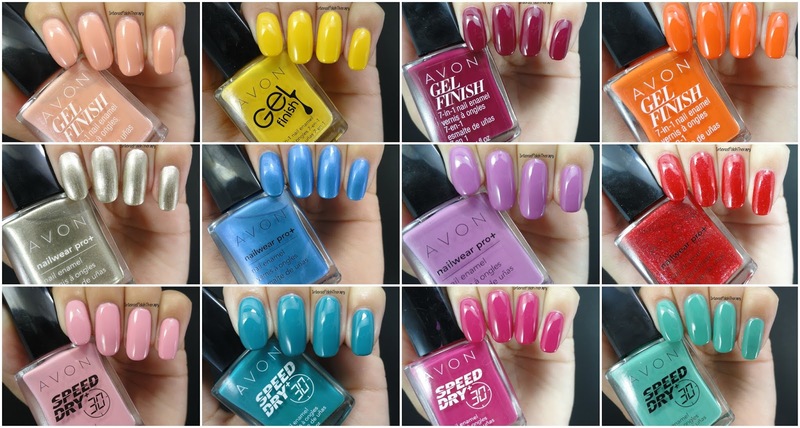 The Nailwear Pro+ line retails for $8.00 per bottle & can be purchased through Avon Independent Sales Representatives, 1-800-265-AVON or Online at Avon.ca .